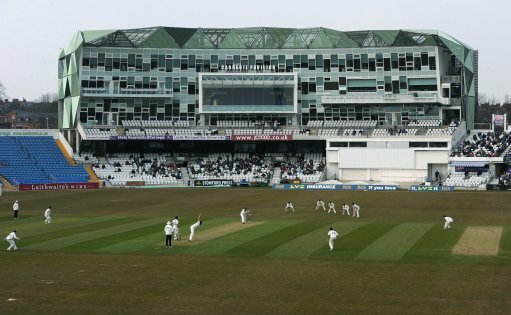 It took until the evening of the first day of the final fixture for Yorkshire to secure their top league status for next year when they picked up a second bowling bonus point. Remarkably, the Tykes then put their seal on a decent September by finishing the league campaign in a lofty fourth position. This has been a largely disappointing summer for the white rose, beset by batting inadequacies, but peculiarly Yorkshire are the fourth best team in the land, which I am afraid doesn't bode well for English cricket. Someone on Faecesbook the other day suggested that extras should be in contention for Yorkshire player of the season. This was a damning indictment of our summery travails, but at least it ended well with TKC, Lyth, and Ballance piling on the runs in the final few weeks. Nevertheless, a final position of fourth looks ludicrous, but there again league tables don't lie! Worcestershire versus YORKSHIRE; in Worcester; Monday the 24th to Wednesday the 26th of September. YORKSHIRE chose to bowl. YORKSHIRE win by seven wickets. Worcestershire six points, YORKSHIRE 24 points. Lyth - Lythy didn't hit the heights of his previous outing. This time he could only make do with a 27 and an innings of twenty, plus a couple of catches. Raval - Scores of 21 and thirteen were once more inadequate. Raval is just passing through, which is just as well. He hasn't added any value to the first eleven. Leaning - Jack's Yorkshire future must be in the balance. After a thirteen in the first innings, he played a sensible, unbeaten knock of twenty-two in the run chase. Ballance - Gary finished the season with a flourish, in the shape of forty fours, one six, and 254 runs. He's still clearly one of the best batsmen in the country. Kohler-Cadmore - Tom weighed in with three catches, while his batting merely amounted to an innings of eight, followed by an eight not out, as victory was secured. Tattersall - The young wicketkeeper was guilty of a costly dropped catch off the centurion Mitchell. He did take three catches and hit a mediocre nineteen runs. Bresnan - This wasn't the big guy's best performance. His bowling delivered three wickets, but his 29 overs cost 110 runs. He only managed to score seven runs. Patterson - The captain only managed to score six runs with the bat, but he bowled well yet again, as his 37 overs only cost 102 runs, whilst producing four wickets. Logan - James's debut was nothing to write home about. He hit six runs, and he bowled twelve overs that cost forty-four runs and which produced no wickets. Brooks - His first-innings batting, with fifteen fours, turned the match on its head. Then he took seven wickets, costing 163 runs. Jack is going to be missed. Coad - Ben ended up with commendable match figures of six wickets, costing 121 runs. His second innings bowling was expensive but his strike rate was quite superb.